The Sunday Times published an interview with Vicky this week (June 17th, 2018). 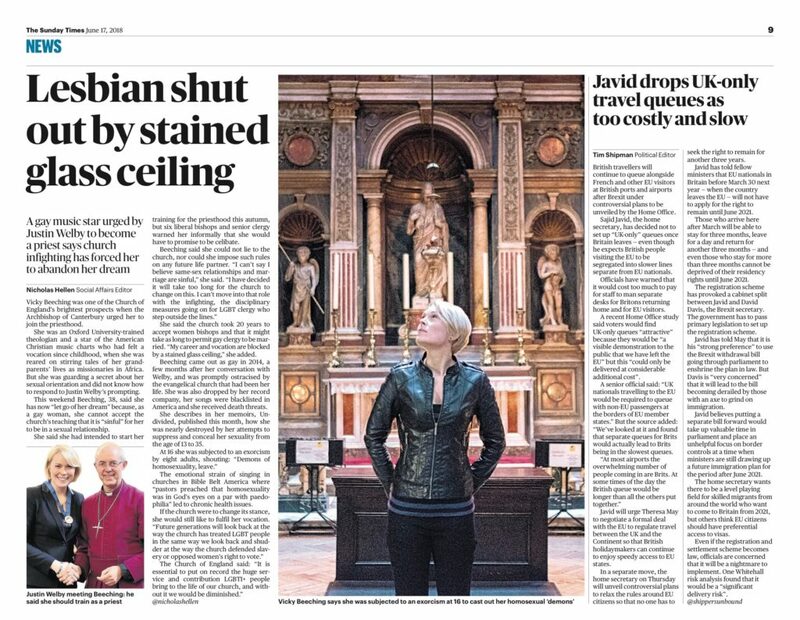 The piece discusses her new book, ‘Undivided’, out this week, and explores her concerns about the lack of safety and equality for LGBTQ people in the Church of England. The article is below. (It is also online here, but is behind a paywall).